The rental housing industry understands that supply-demand imbalance has caused rents to rise faster than wages in many areas of the country in recent years, including Seattle and elsewhere in our state. In addition, unnecessary building regulations, outdated zoning codes, increases to expenses such as property taxes and utilities, high land prices and general opposition to apartments raise construction costs, which in turn leads to increased rents. Affordable housing is a significant and growing challenge for Americans. The demand for affordable housing cannot be met by government programs alone. Partnerships between the public and private sector are critical in reaching the shared goal of providing safe, affordable housing for all Americans. 39 million Americans call an apartment home. Today, demand for apartments is at unprecedented levels as the number of renters has reached an all-time high. America’s affordable housing shortage is both an income and a supply problem. The U.S. will need at least 4.6 million new apartments by 2030 to meet the anticipated demand from those wishing to rent their home. The need is for all types of apartments and at all price points. The growing demand for apartments - combined with the need to renovate thousands of apartment communities across the country – will make a significant and positive impact on our nation's economy for years to come. The apartment housing industry provides 512,000 apartment homes to more than 946,000 residents in Washington state. The apartment industry contributes $20.7 billion to the economy in our state and supports almost 200,000 jobs. The need to address housing affordability has policymakers looking for symptoms to address rather than addressing the need for more housing. 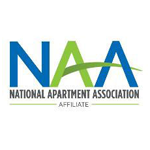 A trend the National Apartment Association (NAA) is witnessing across the country is a new publicized criticism of evictions and their effect on a local community. Some jurisdictions are targeting owner and operators’ eviction screening policies and the laws that allow an owner to deny housing based on eviction history. According to tenant advocates, eviction laws are barriers to housing choice and opportunity and could have fair housing or disparate impact implications. The eviction process has long since been a focus of tenants’ rights activists and state and local policymakers. It has gained renewed fervor following the release of Harvard sociologist Matthew Desmond’s book, “Evicted: Poverty and Profit in the American City.” In the words of Desmond, “If incarceration had come to define the lives of men from impoverished black neighborhoods, eviction was shaping the lives of women. Poor black men were locked up. Poor black women were locked out.” This book is generating widespread media attention of evictions and eviction policy and serves as a call to action to both tenants’ rights groups and elected officials to examine current laws. There has been recent coverage in the New York Times and other outlets concerning the nation’s “evictions crisis”. The overarching theme of these articles is to promote Matthew Desmond’s newly released research on evictions. Through Princeton University’s Eviction Lab, Desmond and his team have unveiled a national database of eviction records across the country. The NAA expects an increase in media attention and possibly a legislative reaction as the national debate over evictions heats up. After the original release of Desmond’s book, NAA saw an increase at the federal, state and local levels of government to change eviction policy. Apartment owners and operators are in the business of providing safe, professionally maintained housing of good quality to renters. Owners and operators enter into contractual agreements (rental agreements) with renters to provide this service in exchange for rent. These contractual agreements require both parties to abide by certain obligations that protect and secure owners’ assets against damage or loss and ensure the safety and security of its residents, staff and property. As we’ve seen in the recent legal challenge to the City of Seattle’s First in Time Law, which was recently overturned by a judge as an improper government overreach, property rights are a fundamental pillar of our legal system and are commonly associated with the discretion to protect and secure those assets against loss. Seattle’s law prohibiting a landlord’s right to consider past criminal conviction history is also being legally challenged as unconstitutional and counter-productive to its stated goals. Prior eviction screening is a necessary function of the application process which helps owners and operators mitigate risk and ensure safety for its residents. In some jurisdictions, rental housing providers are obligated under nuisance abatement ordinances to screen and/or evict individuals who engage in criminal behavior on the property or in activity that increases the need for response from law enforcement. Owners and operators require full access to a complete and accurate eviction history of an applicant without limitation on pending or previous filings. A full and accurate record gives owners and operators the most comprehensive picture of the applicant’s past behavior to determine his or her ability to pay rent. Rental history, including evictions, is just one part of the overall screening process. Limiting access to eviction records would have unintended consequences that will adversely impact low-income residents, such as greater reliance on financial records and credit history. The eviction process can be costly and protracted, and there is no economic incentive for owners and operators to file for eviction except as a last resort when a lease has been breached, most often for nonpayment of rent, or for jeopardizing the safety or disturbing the quiet enjoyment of others at the apartment community. An owner or operator must fulfill their financial obligations, including, but not limited to, maintenance expenses, capital improvements, mortgage payments, utilities, insurance premiums, payroll and property taxes, even if a resident fails to pay rent or fulfill their agreed upon responsibilities under a lease. The National Apartment Association opposes all efforts to seal records or limit property owners and managers’ ability to screen applicants for evictions, which is a fundamental right of property owners and a reasonable practice to ensure availability of good housing opportunities for all. The rise in rent is not directly tied to the number of evictions. Everyone deserves a safe, comfortable place to live, which is why the industry is committed to working with lawmakers at every level to boost construction and meet the country’s demand for apartments. The apartment housing industry works with many community organizations to prevent and end homelessness. Residents facing eviction may choose to hire an attorney to help them navigate the legal system. There are many resources available to residents who may be facing an eviction. Housing providers screen prospects to maximize the likelihood that a Lessee will honor the entirety of the lease term. Violations of the lease, either through prohibited behavior or violation of the obligation to pay rent, adversely affect both landlords and tenants. No housing provider wants to evict their resident. Advocates claim that there could be disparate impact implications from evictions, having a disproportionate negative impact on protected individuals under the federal Fair Housing Act. The American Civil Liberties Union (ACLU) of Washington emphasized this point, even citing Desmond, in their complaint against a Renton property owner in federal court. The case was the first to challenge apartment owners’ screening policies related to evictions. The ACLU argued that an owner should not have the ability to deny housing indiscriminately based on any prior eviction proceedings of the resident. In an ACLU press release, a senior attorney with the ACLU Women’s Rights Project said, “These unjust screening policies mean that doors are slammed shut for families based on a prior landlord’s decision to file an eviction case, not the applicant’s own actions. Qualified tenants should not be blacklisted because of an eviction case that lacked merit or is several years old.” The case was ultimately settled. NAA and WMFHA expect the issue of evictions to remain a top priority and will continue to monitor this emerging issue on behalf of our members. WMFHA remains open to continuing to work with our elected officials and policymakers to get housing policy right and to stop the band-aid patchwork of local and state policies that adversely impact the rental customers we serve.